The Pain Relief Foundation has long supported the work of its Pain Research Institute. The Institute is now part of the University of Liverpool Department of Neurological Science. However, its research is funded entirely by donations to the Pain Relief Foundation and other external grants. The Institute carries out research into the causes and treatment of chronic pain in humans. 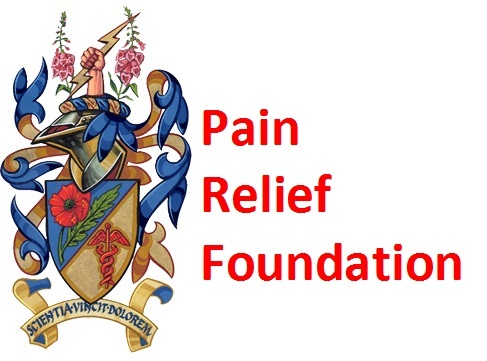 In 2001 the post of Pain Relief Foundation Professor of Pain Science was established. This post is part funded by the Foundation. In 2008 a new Clinical Senior Lecturer post at the University of Liverpool was established. This post is also part funded by the Foundation. The Institute is closely associated with the Pain Clinic at the Walton Centre for Neurology and Neurosurgery NHS Foundation Trust. This is one of the largest pain clinics in the UK with in excess of 3,000 patients attending each year. Many visiting doctors come to the clinic and the Pain Research Institute to observe and learn many pain relieving techniques and to collaborate on research projects.